University of Texas Press, 9781477317365, 320pp. When Stoner was published in 1965, the novel sold only a couple of thousand copies before disappearing with hardly a trace. Yet John Williams's quietly powerful tale of a Midwestern college professor, William Stoner, whose life becomes a parable of solitude and anguish eventually found an admiring audience in America and especially in Europe. The New York Times called Stoner "a perfect novel," and a host of writers and critics, including Colum McCann, Julian Barnes, Bret Easton Ellis, Ian McEwan, Emma Straub, Ruth Rendell, C. P. Snow, and Irving Howe, praised its artistry. The New Yorker deemed it "a masterly portrait of a truly virtuous and dedicated man." 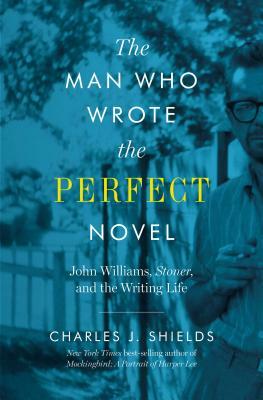 The Man Who Wrote the Perfect Novel traces the life of Stoner's author, John Williams. Acclaimed biographer Charles J. Shields follows the whole arc of Williams's life, which in many ways paralleled that of his titular character, from their shared working-class backgrounds to their undistinguished careers in the halls of academia. Shields vividly recounts Williams's development as an author, whose other works include the novels Butcher's Crossing and Augustus (for the latter, Williams shared the 1972 National Book Award). Shields also reveals the astonishing afterlife of Stoner, which garnered new fans with each American reissue, and then became a bestseller all over Europe after Dutch publisher Lebowski brought out a translation in 2013. Since then, Stoner has been published in twenty-one countries and has sold over a million copies.